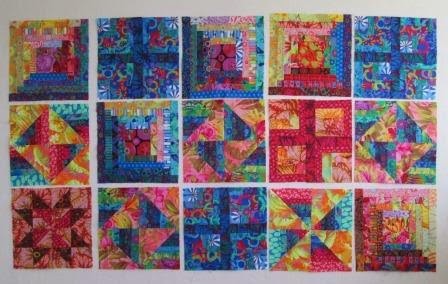 I have finished up all the blocks I needed for the Kaffe Fassett Quilted swap Block exchange. I had sent some early but had to finish a few more. This is the final group of blocks. 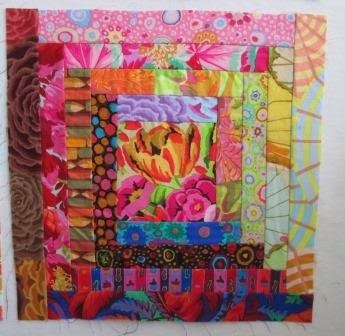 All the blocks are 12 1/2" and uses the Kaffe Fassett Collection of fabrics. 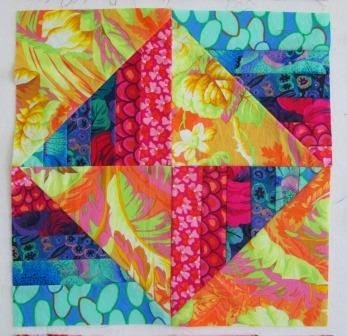 The blocks that use the bright Yellow Tropical print. I have added today's post to Judy's Design Wall Monday link. Beautiful fabrics. What great colors! 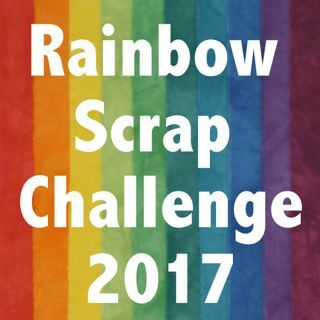 This is a great idea for a swap! How could you go wrong? Something special about those colors. Such a colourful and bright design wall! 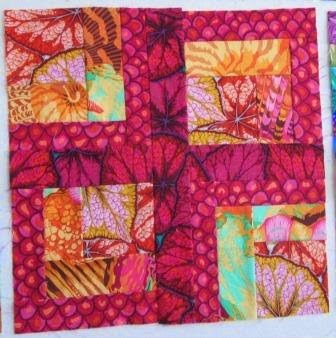 Gorgeous, gorgeous blocks! So colorful and bright.